Pam is no stranger to West Milford Vision Center and is committed to providing compassionate patient care. 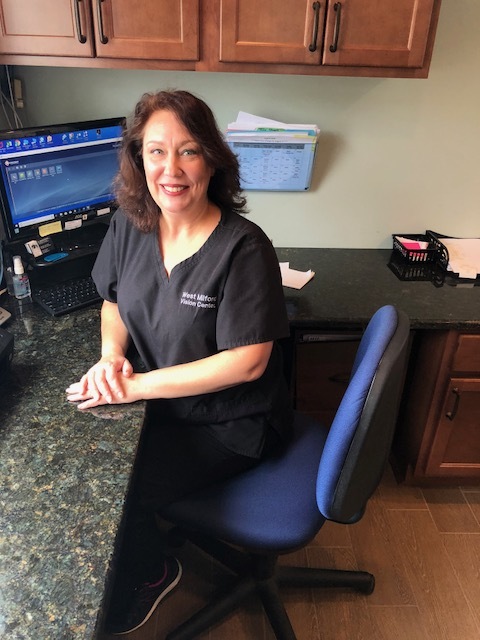 As office manager Pam is crossed trained in every area of the office and can help you with all of your eye care needs as well as insurance or billing questions. When not in the office Pam enjoys spending time with family and friends, D.I.Y. projects, cooking, entertaining, and road trips.